Microchipping your Pembroke Pines pet is one of the most important things you can do as a pet owner to ensure your pet can be returned to you if it becomes lost. 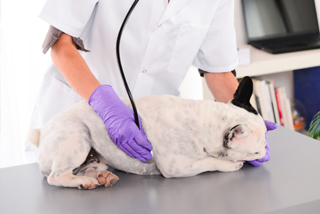 A microchip implanted in your dog or cat can let animal control, rescue shelters and veterinarians know who the owner is and how to contact him or her. 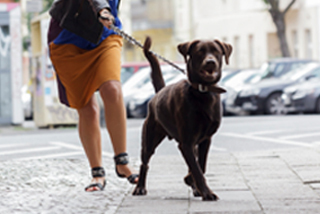 It's a smart, caring and inexpensive move to provide security for your four legged friend. 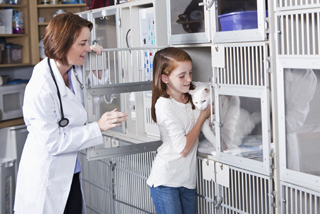 The microchip is a small device that has a unique identification number used to identify your pet, you as the owner and DPC Veterinary Hospital as the vet who imbedded it. The chip is injected between the animal's shoulders with a syringe like those used in inoculations. It's a quick, no more painful than a shot, and is a one-time process. It's a great way to ensure your dog doesn't have an "identity crisis" if he or she ever wanders from home. Our microchipping program works like this. Once the chip has been implanted, the dog's name and owner's name and contact information are registered with the company that manufacturers the chip. 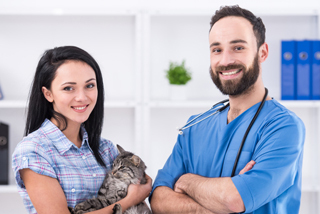 At DPC Veterinary Hospital that microchip company we use is HomeAgain, which we feel, is the best value and offers the most comprehensive and helpful services. If your pet becomes lost and ends up at a shelter or vet, a quick scan of its shoulders with a microchip reader will reveal the ID number. The vet or shelter can then do a quick check of HomeAgain's database and will find your pet's name and your contact info. Don't wait! Have this important safety feature implanted in your pet. Call or visit us in nearby Davie today.